Question: During the course of treating a patient who was in an automobile accident, our orthopedist had to perform extensive debridement as well as several other procedures. What I’m wondering about is how to code the debridement. Notes indicate that the provider performed “debridement, subQ tissue, 37 sq cm total.” Can you help me select a code? 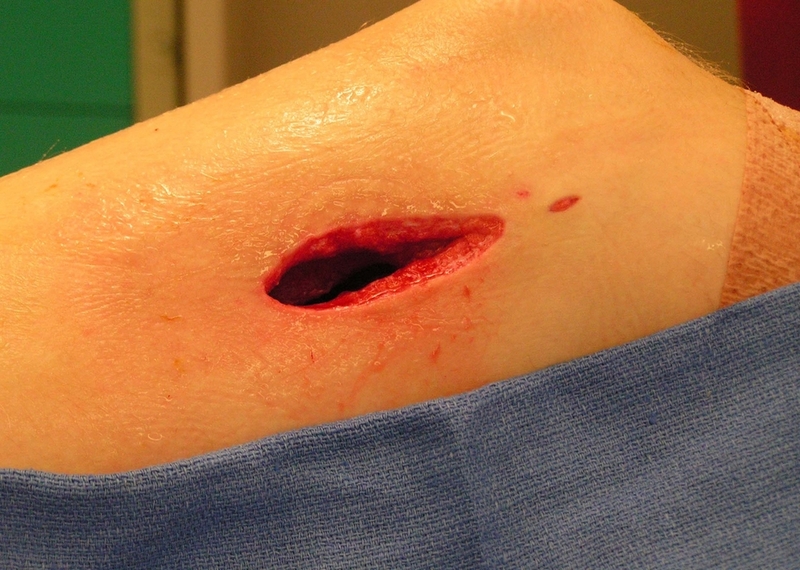 Answer: You might want to double-check with the provider before coding, but based on the notes you’ll want to choose the subcutaneous debridement codes: 11042 (Debridement, subcutaneous tissue (includes epidermis and dermis, if performed); first 20 sq cm or less) for the first 20 cm of debridement, and +11045 (… each additional 20 sq cm, or part thereof (List separately in addition to code for primary procedure)) for the remaining 17 cm. 11043 (Debridement, muscle and/or fascia (includes epidermis, dermis, and subcutaneous tissue, if performed); first 20 sq cm or less) with +11046 (… each additional 20 sq cm, or part thereof (List separately in addition to code for primary procedure)) if the debridement goes to the muscle/fascia. 11044 (Debridement, bone (includes epidermis, dermis, subcutaneous tissue, muscle and/or fascia, if performed); first 20 sq cm or less) with +11047 (… each additional 20 sq cm, or part thereof (List separately in addition to code for primary procedure)) if the debridement goes all the way to the bone. Caveat: Make absolutely sure that the provider debrided into subcutaneous tissue, or you’ll be overcoding with any of the above options. For debridements that only occur on the epidermis/dermis level, you’ll choose from 97597 (Debridement (eg, high pressure waterjet with/without suction, sharp selective debridement with scissors, scalpel and forceps), open wound, (eg, fibrin, devitalized epidermis and/or dermis, exudate, debris, biofilm), including topical application(s), wound assessment, use of a whirlpool, when performed » and instruction(s) for ongoing care, per session, total wound(s) surface area; first 20 sq cm or less) and +97598 (… each additional 20 sq cm, or part thereof (List separately in addition to code for primary procedure)) depending on encounter specifics.